It’s easy to think that the only insurance cover you need for your family is life assurance. However, a major illness can strike at any time. In the UK, every 2 minutes someone is diagnosed with cancer, and every 5 minutes someone has a heart attack*. Critical illness cover means that if you were to be diagnosed with a serious medical condition, you would receive a tax-free lump sum payment. No-one would want to be worrying about their finances when seriously ill, so having this type of cover in place could provide valuable reassurance for you and your family. Typically there are seven conditions that most policies cover. These are cancer, coronary artery bypass, heart attack, kidney failure, major organ transplant, multiple sclerosis, and stroke. Permanent disability caused as a result of an illness or injury is usually included too. There’s a wide variety of policies on the market covering various medical conditions, so taking expert advice will help you make the right choice. What can the payment be used for? There are no restrictions as to how you use the money. So, you could use it to pay off your mortgage or other debts, pay for nursing care or use it to make alterations to your home such as wheelchair access. When would the lump sum be paid? Generally, you will receive your tax-free lump-sum payment around 30 days from making a successful claim. Some policies include what is called ‘severity-based cover’. This is where the policy pays out a proportion of the sum assured, depending on the severity of the diagnosis, and continues to provide cover for the more serious conditions. Would I need a medical? Some insurers do require you to undergo a medical examination before they will quote for providing cover. You will need to provide detailed information about your medical history. Premiums are based on an assessment of your state of health. If you have existing health problems, then they won’t be covered under your policy. Can I combine critical illness and life cover? Many people buy a combined life and critical illness policy, and it can make sense to do so. In this case, a payment would be made on either diagnosis of a critical illness as defined in the policy, or death, whichever is the sooner. If the cover is combined in this way, the policy premium is usually cheaper than it would be for separate policies, as there is only ever one lump sum paid out by the insurance company. When should I take a policy out? Many people buy a policy when they take on a major financial commitment such as a mortgage. 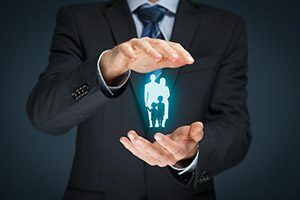 It certainly pays to start a policy at a young age, rather than leaving it until later in life when the cost of cover starts to rise, as does the risk of developing a critical illness. If you’re single and don’t have dependants, you may not feel you need life assurance. However, if you don’t have anyone who could take care of you financially if you were diagnosed with a serious disease, you might want the security of critical illness cover. As is often the case when choosing insurance, it’s advisable not to buy on price alone, as doing so may not provide the level of cover you need. We will be able to help you assess the policies available to you and find the most appropriate cover for your needs.